80% of our work comes from recommendations. We haven’t finished painting your house until you’re 100% happy. With 20 years of experience, our friendly, expert team can provide you with free advice for painting your property. Looking for trustworthy tradies to do your house painting Sydney? The quality of the finished paint work in your house will have a significant impact on the overall look. A good paint finish by professional house painters makes the difference between a home you like, and a home you love. In addition, quality house painting increase property value. Therefore, it’s important to hire a painter you can trust. 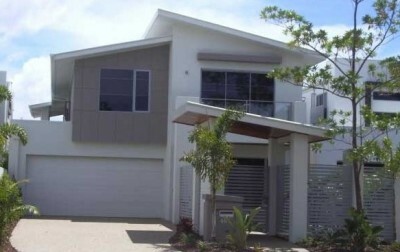 We are affordable Sydney painters, who market ourselves on trust and quality workmanship. Our professional house painting service can help you achieve an immaculate paint finish for your house, giving it a “show home” feel. With our 20+ years experience and professional workmanship, we are the house painters you can trust with your Sydney home. Our key to providing you with an exceptional paint finish is intensive preparation, use of quality paint and an attention to detail that has resulted in over 80% of our NEW painting customers coming from referrals. Give any room a make-over! We were very pleased with the outcome and quality of finish. The work was carried out with a very high degree of professionalism, quality, timeliness and a very obvious amount of pride in his workmanship. We use Dulux indoor and outdoor paints so that your freshly painted house will have the finest finish that will last. We will not leave until you are 100% happy with our work. We not only guarantee Australian Standards on all our work but we also give you a 7 Year Guarantee on workmanship providing you with peace of mind. We also have public liability insurance and are occupational health and safety (OH&S) compliant. Colour Elegance provides a full range of house painting services. If you’re time poor or have no desire to paint your home yourself, we can paint the exterior or interior of your home for you. We can paint one room or your whole house. We can also paint decks, patios and fences too. Colour Elegance will paint your home so you can get on with your day to day routine. Come home from work to have your house looking brand new – without having to lift a finger yourself. Time is precious – we understand you need to work, to run the kids around and to perform routine chores like grocery shopping and preparing meals. You already have a full plate- there’s no need to add extra jobs like painting into the mix- let the experts at Colour Elegance handle all of your house painting needs. Colour Elegance has a friendly team of highly qualified, professional house painters. Our team offers a quality service that you will be happy with and workmanship that will last for years. We don’t cut corners; we prepare surfaces properly and always use more than one coat of paint. Beware of any company that offers a ridiculously cheap price – you may not be getting a professional finish. Our painters take pride in their work, if you’re not happy – we’re not happy- but we know you will be as we have many testimonials from satisfied customers. Most of our business is generated through word of mouth- we come highly recommended by our customers. We like to boast we have the best team of house painters Sydney has ever seen! You may have some ideas already in mind for exterior house colours- if not we can help you choose a look that suits your style and home. At Colour Elegance we only use top quality products- that’s why we proudly use Dulux paints – we know it performs well and lasts. There are a lot of colours to choose from and sometimes it can get confusing. Rest assured we are trained in Dulux paint and we can help you decide which house paint colours will suit your lifestyle the best. We will look at the design of your home, the architectural features, the location as well as the surrounding homes in the area. It is an extensive consultation process that will leave you feeling completely satisfied with the choices made. There’s no need to be afraid of your house painting cost either. Colour Elegance offers an affordable service tailored to suit even the tightest of budgets. And best of all your house value will certainly increase after it is painted by our expert team. 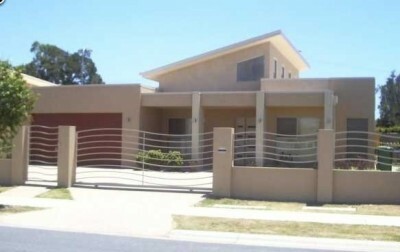 We paint all types of materials including timber, concrete, bagged exteriors and rendered. If you have older style bricks and you would like them refreshed, we can paint those too- ask us about modernising the look of your home’s exterior. It’s amazing how a tired drab exterior can be given a new lease of life with the perfect paint job. Contact us today for an inspection on your home- we proudly offer free written house painting quotes that we can tailor to your budget. Not everyone knows how to create the perfect look for their home. Decorating is indeed a skill which you may or may not have a flair for. Our painting services extend through to decorating advice for those who need it. It can be difficult choosing the exact shade of white for a living room; it isn’t always easy deciding what colour to make a feature wall to highlight homewares or a particular print. Have a small space? No problem, we can advise on colours that will open it up not enclose it. Thinking about a coloured ceiling? Yes it’s different but we can help you to choose the right colour so that it works. We have over 20 years experience in the painting and decorating industry and can offer advice when needed. We have seen all sorts of decorating styles over the years and have helped hundreds of customers refresh their home. 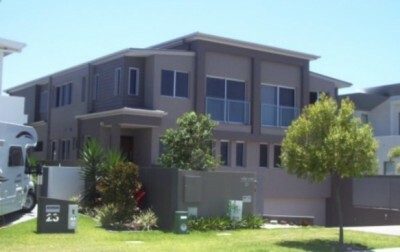 Call us for all of your house painting Sydney! We’re here to help. There are many benefits in having a professional organise the exterior house painting and the interior painting of your home. You’ll receive a professional, quality finish – which we all know is hard to execute particularly cutting in the edges! It will take less time than if you were painting yourself, our equipment is ready to go and we do all of the cleaning not you! The timely preparation work is done by us – you don’t have to waste precious time sanding and priming rough walls – some of the most annoying aspects of painting for DIY painters. And we have all the necessary equipment- you don’t have to organise ladders, brushes, dropseeds, rollers, paints- we have it all covered. We believe we can offer you the best house painting services Sydney residents- so contact us today to see what we can do for you. No job is too big or too small for us and we are so confident that you will love our work and professional approach we will paint one room of your house before you commit to hiring us. We stand by our painting team, our quality products and of course our workmanship. We travel all over the Sydney region too so if you live in the northern suburbs, the western region or to the south down in Cronulla, we will happily paint your home. So, if you are looking for the best residential painters Sydney has to offer – call Colour Elegance today! We will come to your home for an inspection, discuss exactly what your home needs and organise a written quote for the work. It doesn’t get much simpler than that! Transforming your home is easier than you think and won’t cost you the earth. Refresh your space and maintain your home for years to come. And best of all, you won’t need to waste time on your weekends doing it! Give your Sydney home a new look with interior and exterior house painters!